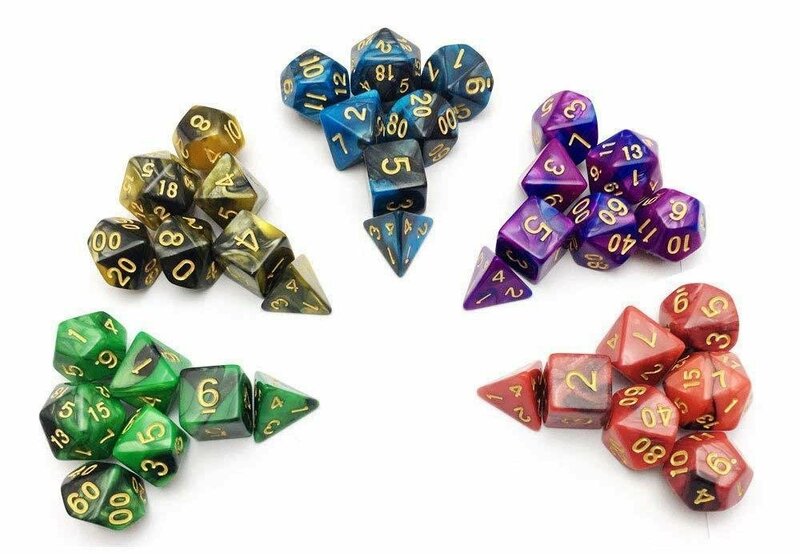 This standard 7-piece polyhedral dice set (d20, d12, two d10, d8, d6, d4) is everything you need to roll critical hits in your next D&D session. It even comes with a felt dice bag. Colors picked at random from our inventory. If you have a specific color, please contact us and we will try to accommodate your preference.